The MCP1801 is a 150 mA, high PSRR, ceramic output capacitor stable Low Dropout (LDO) voltage regulator with shutdown. 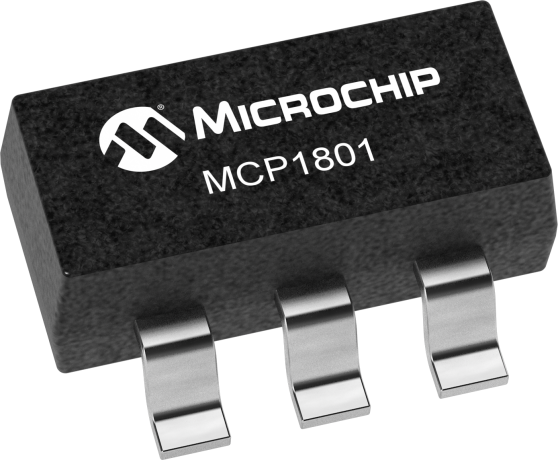 MCP1801 provides a low noise, highly stable output due to its excellent transient response while consuming only 25 µA of quiescent current. MCP1801's overcurrent limit with current foldback provides excellent short-circuit protection.